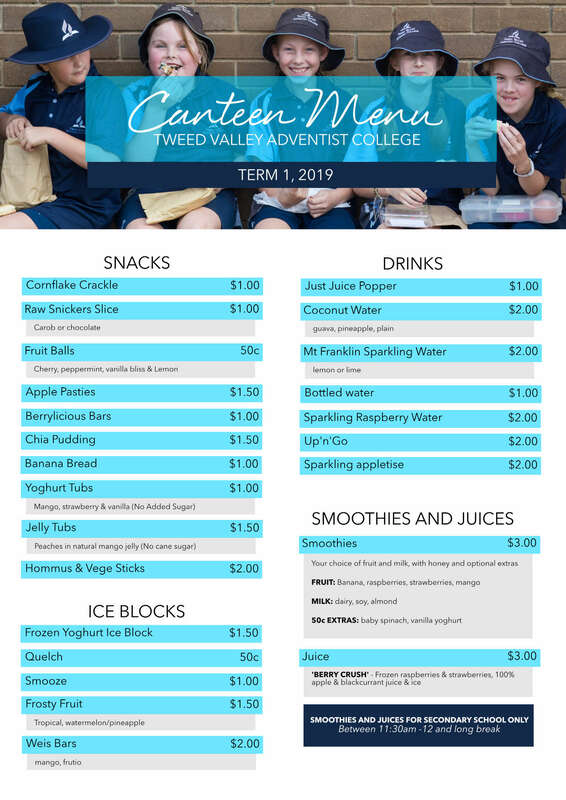 The Tweed Valley Adventist College Canteen strives to provide healthy, nutritious lunches and snacks catering for varied dietary needs. We offer vegetarian, gluten free and vegan options. Where possible food is made fresh, on site, every canteen day. Our freshly made food also allows us to keep prices affordable. We believe that your child’s ability to learn, concentrate and enjoy school is highly dependent upon the food they are using as fuel for their bodies. We want to be a part of the journey to eating healthy food and exercising daily to maintain student performance at school and for a brighter future. This would not be possible without the help of our amazing volunteers. Thank you to the people who have offered their time and if you would like to help, please let Mrs Katsoufros know on 02 6672 2922. 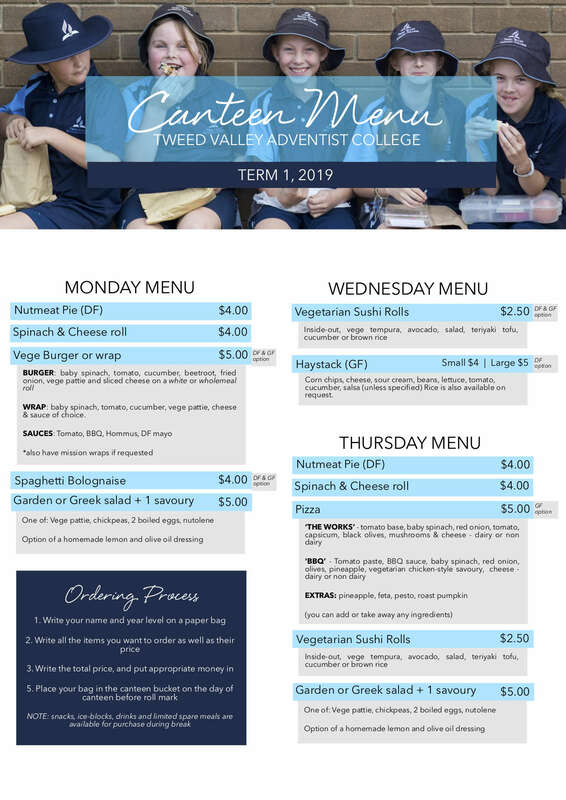 Our Canteen is open on Monday, Wednesday and Thursday.